Puerto Princesa City Tour is a popular tourist activity and a filler in any itinerary. Most travel agencies offers city tours to tourists PhP 600 per person rate. It is pretty much a good price for a day worth of going around the city and going around different tourist destinations. 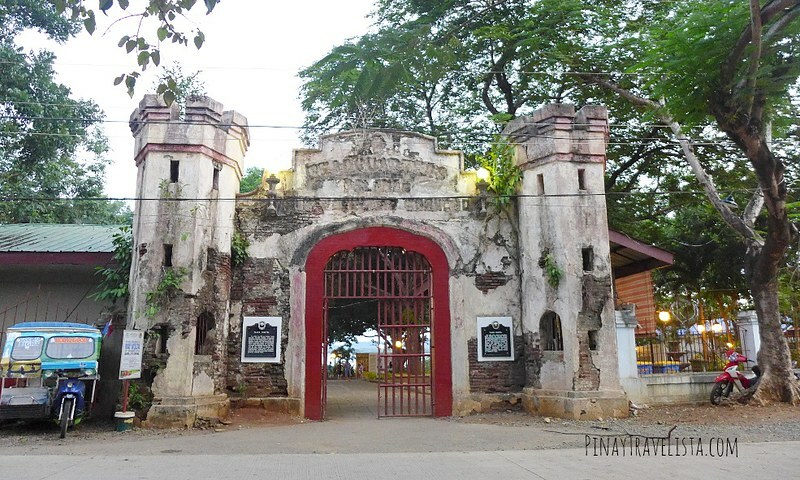 For some who prefers to keep budget to a minimal, you can easily have your own DIY Puerto Princes City tour ofcourse. 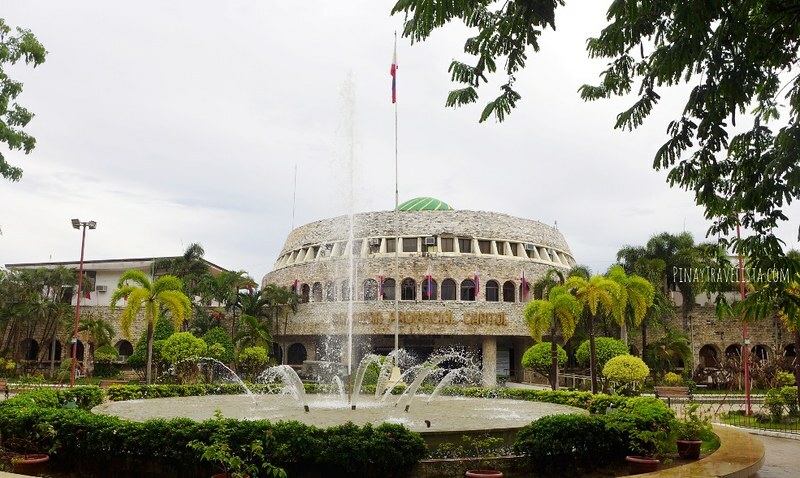 The Palawan Provincial Capitol is hard to miss. It is one of the dominating landmarks you will see few minutes from the airport. You will find a massive open space to lounge around and just enjoy a cool, and relaxing day after checking out the massive sculpture inside the Palawan Provincial Capitol. Hail a pedicab/tricycle, fare is around PhP 8-10, and travel time is 5-10 mins. Make sure to bring any identification card along with you to leave at the guard in exchange for a Visitor ID. You can pick up your card right when you leave. 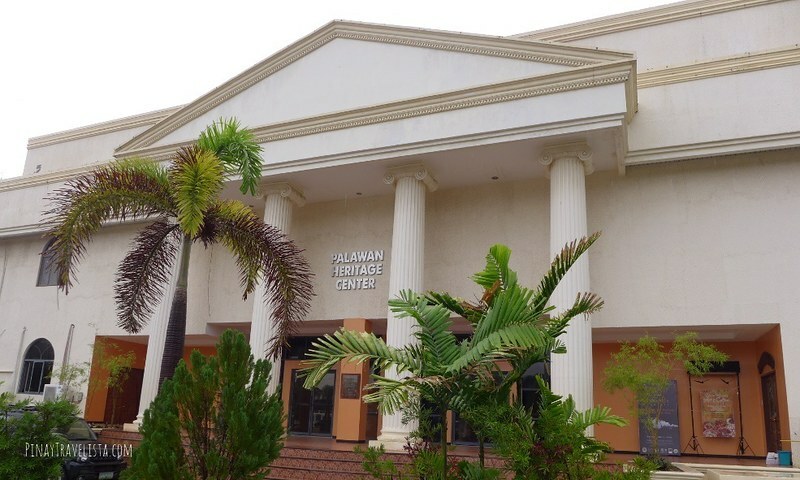 Behind the Palawan Provincial Capitol is the Palawan Heritage Center. You will find history of Palawan and the lives of the early inhabitants story -told in the exhibit. Depending on what exhibit is currently available, expect an entrance fee from PhP 100 – above per person. 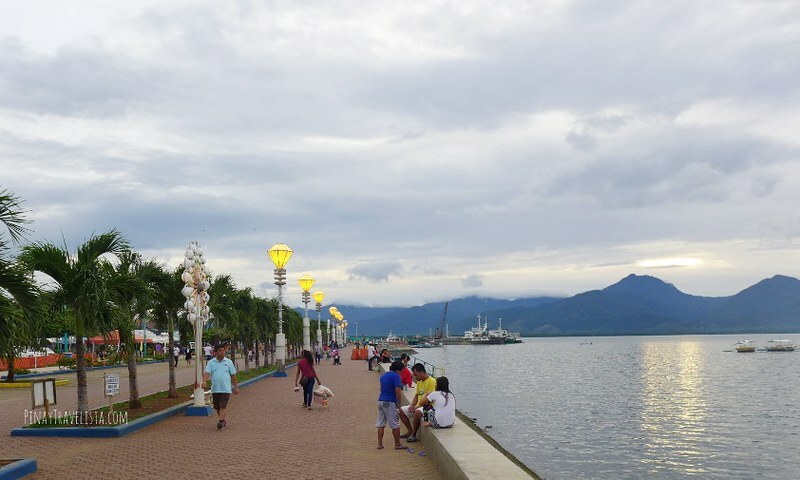 The Puerto Princesa Baywalk is Puerto Princesa’s version of Manila de Bay. It’s a long stretch of seaside open area for strolling, and leisure. you will find food vendors that will light up the space during at night offering local food. You will also find bicycles for rent, and enough space to stroll or sit around and people watch your hours away. Hail a pedicab/tricycle, fare is around PhP 8-10, and travel time is 5-10 mins. You can easily walk to the end of Baywalk and exit on the far left road and head for the church. With a touch of gothic look, this pointed symmetrical arches is Immaculate Conception Cathedral. Located on top of a steep hill, this was said to be an old small church built at the time of Spanish occupation. Hail a pedicab/tricycle, fare is around PhP 8-10, and travel time is 5-10 mins. You can easily walk from Baywalk to the church. 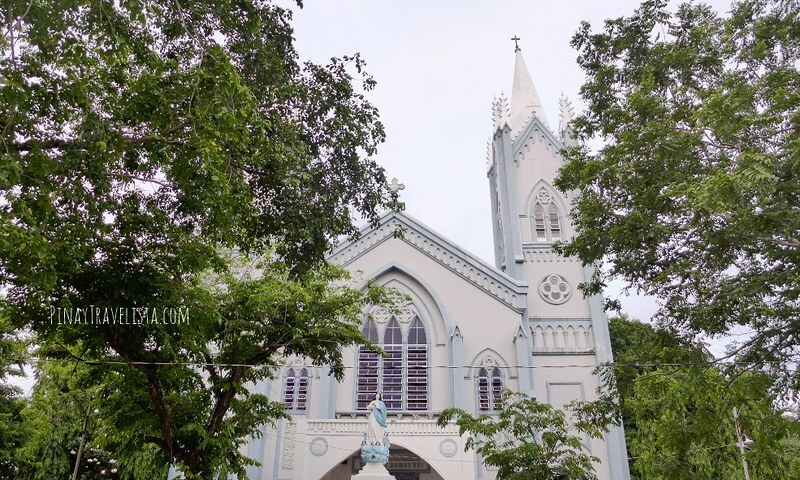 Adjacent to the Puerto Princesa Cathedral is a historical landmark and a grim reminder of World War II and the torture that went along with it. The Plaza Cuartel appears ordinary in the outside. Going in and walking through the park, you will find a carefully told story of the infamous Palawan Massacre where 150 American prisoners where burned alive and only 11 escaped from teh brutal forces of the Japanese invaders. Hail a pedicab/tricycle, fare is around PhP 8-10, and travel time is 5-10 mins. You can easily walk from Baywalk to the church, and then to Plaza Cuartel. Travels should be well-planned even for the unseasoned traveler. It will definitely make your travel worthwhile if you already preplanned your activities. It need not be expensive or prepared by travel agencies, some activities like a city tour can be done on your own. A DIY Puerto Princesa City Tour is always a good filler to any itinerary. However if you prefer to not be bothered with planning, and the walking around and hailing of pedicabs. I recommend you inquire Northern Hope Tours, a Palawan-based travel agency and book with them. The itinerary they have will cover much more (Crocodile Farm, Mitra’s Ranch, Baker’s Hill, Baywalk, Plaza Cuartel, Cathedral) than the mentioned above for a PhP 600 per person rate. Considering a van transfer to each location is provided, the fee is not bad all.